The holiday season is upon us! 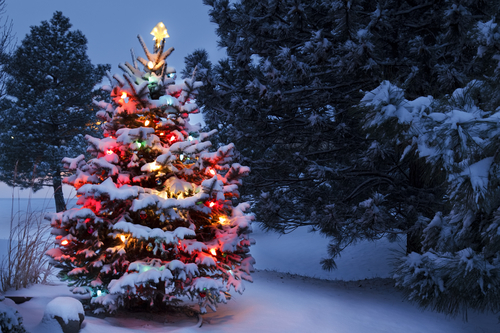 No matter what holiday you celebrate, this time of year is brimming with holiday traditions—from tree lightings to caroling to visits by Santa. If you’re feeling stressed out by your long holiday-shopping list, don’t fret—Valley Forge offers tons of holiday traditions that will be sure to get you in the festive holiday spirit. Candlelight Tours at Peter Wentz Farmstead: Twenty minutes from your Canvas Valley Forge apartment, the historic farmhouse dims the light on Dec. 1 for candlelight evening tours of the property. Enjoy colonial holiday music, live performances showcasing traditional entertainment from the 1700s and other activities highlighting the intersection of history and the holidays. Reindeer Romp: If you have grandkids or other little ones in your life (or want to get in touch with your inner child! ), the Reindeer Romp is a perfect holiday outing. On Dec. 4, Norristown Farm Park, 20 minutes from your Canvas Valley Forge apartment, opens its gates for reindeer lovers to learn all about the animals. Kids’ stories and crafts will help visitors of all ages get into the spirit of the season. Holiday Tours at Pennypacker Mills: The historic mansion, a half-hour from your Canvas Valley Forge, welcomes guests for holiday tours this month. Take a walk back in time to see a real Victorian Christmas, as the historic site is bedecked in time-appropriate holiday decorations. Visitors can see vintage ornaments and learn about holiday traditions from the early 1900s, including stories about how the Pennypackers celebrated the season. Grab some vintage holiday items, such as books, toys and sweets from the gift shop before you leave!